It’s easy to see why good time management is critical. 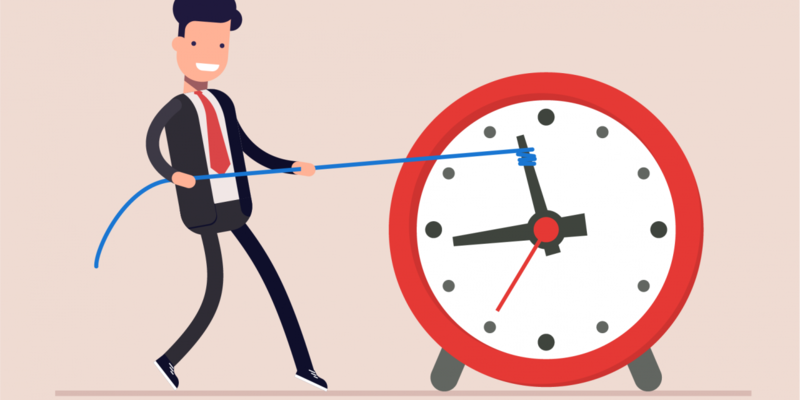 After all, you wouldn’t let your employees, customers, vendors, and friends shorten the days of your life, so why are you letting them steal your time? Time is your single most precious resource, and it’s one that only you can protect. That’s why we’ve put together a list of simple life-hacks that’ll add more time to your days. You don’t run your dealership alone—your direct reports are there to help you. Hosting a leadership meeting is a great way to ensure your overall vision for the dealership is being reflected in every department. A leadership meeting is a great way to save time because it gets everyone on the same page efficiently. The effectiveness of these meetings will reduce the amount of distractions you receive during the rest of the week. Especially if you train your staff to save it for the leadership meeting. Most executives (that’s you) allow employees and customers to pick at them all day. They accept (perhaps even welcome) any interruption. Instead, create an hour each day (or less or more, as is necessary) where your door is open, your phone is on, when people can “pop in” and share what’s on their mind. During this time, while waiting for your visitors, you can read, look over reports, reply to email, or anything else that’s not that important and can afford to be interrupted. The caveat is this: interruptions and questions aren’t permitted (unless there are flames involved) outside of your office hours. Teach your people to “save it” until the specified time. This puts you in control. Lunch is basically a waste of time. You can make it productive by inviting a staff member or two to lunch with you every day. Buy their lunch. Be a big shot. Listen to what they have to say. Encourage them. These are a great time to meet with your managers or direct reports. This time will help them feel he or she has adequate time and attention from you. You’ll build better relationships and increase morale and motivation. Most people allow email and phone calls to govern their entire day. The phone and email are not a natural force, like the tide or like gravity. You can be in control instead of being controlled. Decide to only check email during certain times each day. Same with phone calls. Now you’re the boss again! After all, time is the most valuable resource you possess and it’s non-renewable. These time-hacks will help you take control of your time, employees and dealership. Interested in more ways to take your dealership by the reins? Download our FREE ebook The Ultimate Guide To Supercharging Your Dealership to learn more.